Long a matter of controversy, the practice of refilling inkjet cartridges instead of buying replacements elicits strong opinions from consumers and manufacturers alike. Some retailers have even broached the subject by offering cartridge refill services. Despite the very many internet search results that suggest otherwise, Walgreens discontinued the inkjet-refill service it used to offer at select stores. Different companies, including Costco, offer refill services. Refilling a cartridge generally costs significantly less than replacing it. The catch, though, is that some cartridges cannot be refilled, and of those that can, different companies often include only a subset of cartridges in their service portfolio. Some companies don't offer the service at every location. It's always best to call the store to inquire about service availability instead of just showing up with empty cartridges. Costco refills cartridge for select HP, Canon, Epson, and brother models. Prices vary for the service, with costs as high as $15 per cartridge to as low as $7. Bring your empty cartridge into a participating store. In about an hour, technicians will clean and refill the cartridge. 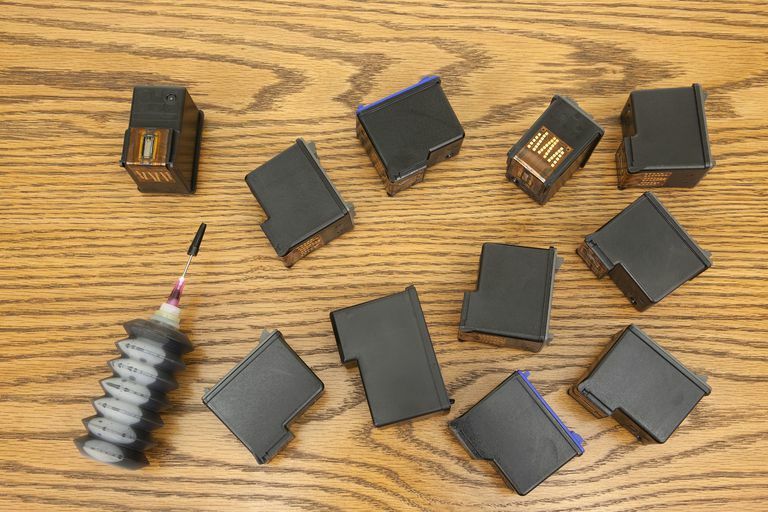 Some specialty ink-and-cartridge retailers, not part of national chains, may refill cartridges; check a local business directory for details. You're also free to buy "universal" refill kits for which you refill your cartridges on your own, but there's a significant risk of damage with these tools, and you may void your device's warranty if you try. Is Buying a PC from Costco Better Than Other Retailers?